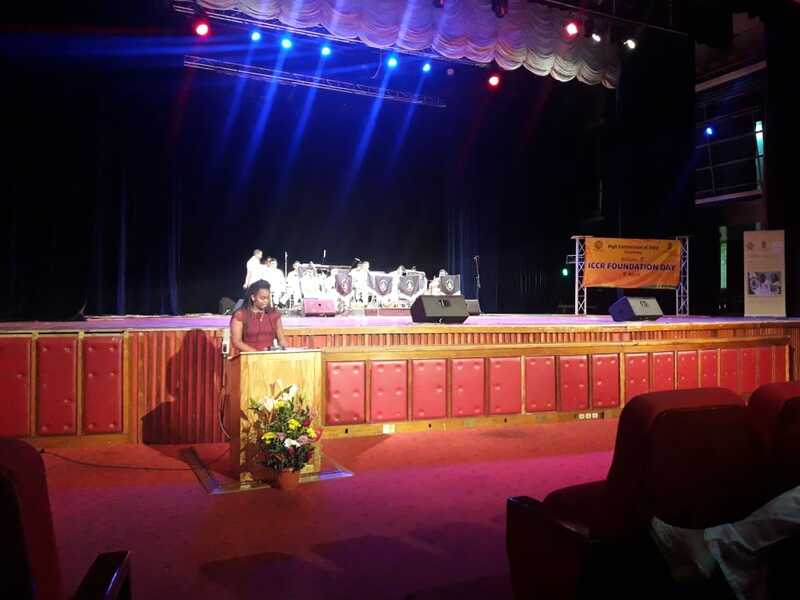 Home › Press Releases › Press Release on ICCR Foundation Day on 9th April, 2019. 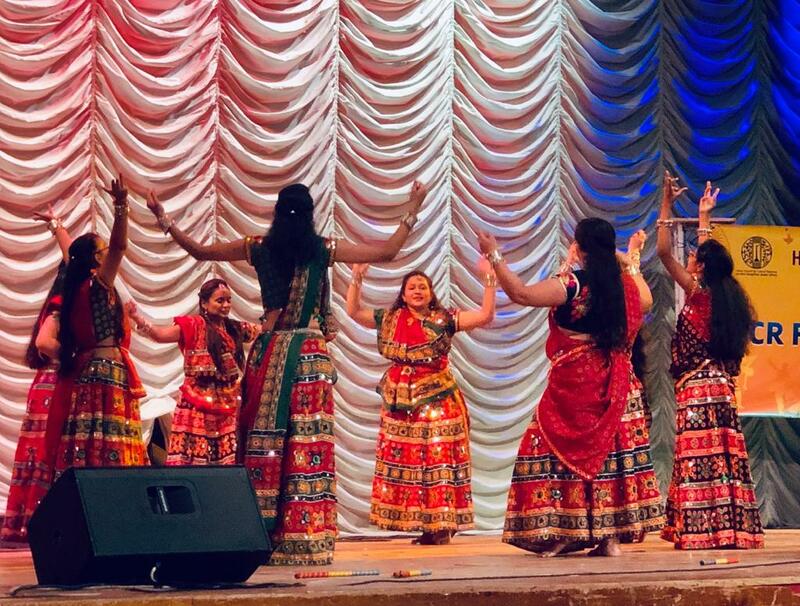 The High Commission of India organised a grand cultural celebration of ICCR Foundation Day on the 9th of April, 2019 at the prestigious ICCS auditorium in Victoria. 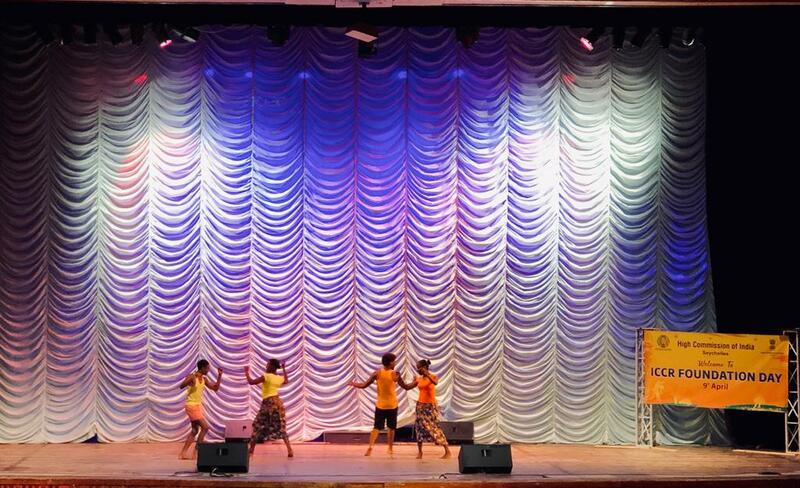 The cultural evening which was a representation of India-Seychelles cultural ties, started off with an excellent creole dance performance by the students of National Conservatoire of Performing Arts, followed by enthralling Guajarati folk dance by the members of the Indian community. 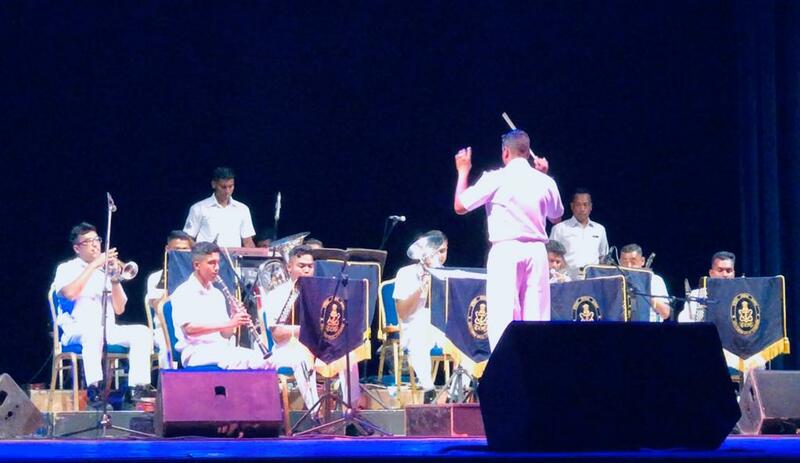 The highlight of evening was however the mesmerising concert by the Indian Naval Band, which performed various instrumental and vocal renditions of popular Bollywood and folk songs. The Indian Council for Cultural Relations (ICCR) was founded in 1950 by Maulana Abul Kalam Azad, India’s first Education Minister with the objective of actively participating in the formulation and implementation of policies and programmes that foster and strengthen cultural relations and mutual understanding between India and other countries. ICCR through the High Commission has been very active in promoting India Seychelles cultural ties by organizing several cultural programmes, conducting several cultural exchanges and running the hugely popular ICCR scholarship scheme for local student to go and study in India’s most premier institutions completely free of cost. A presentation on activities conducted by ICCR internationally and in Seychelles was also shown in the event.